The sportiest of the latest Conti gets sportier still as crankandpiston tests the new Bentley Continental V8 S in California. 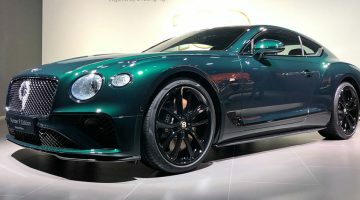 For years, the Bentley Continental GT was a big, elegant and powerful cruiser, thrust towards the horizon by a massive W12 engine. Then, in 2012, a V8-powered model was introduced. Lighter, more agile and with a focus on handling and driver involvement, it added a more dynamic option in the Bentley range. And now we have a Continental that takes that path further. The V8 S model is lower, more powerful and, Bentley claims, even better through the bends. I’m in California to see if the claims are true. While the V8 may originally have been a way to reduce the price of entry into the Continental range, it quickly became apparent that there was an appetite for a Conti that was a better driver’s car, rather than a model that was simply faster, in the vein of the Speed models. It may have been ultimately slower and less powerful, but customers were simply having more fun. And it was that feedback that prompted the V8 S – it’s billed as the ultimate Bentley for the driving enthusiast. 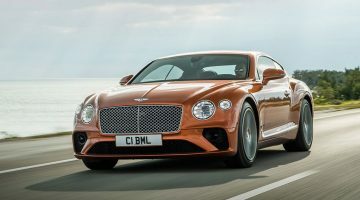 And it comes with an appropriate price tag this time – Middle East costs are yet to be confirmed, but in its native UK it costs $232,395, some $27,000 more expensive than the W12 but cheaper than the W12 Speed model. One could reasonably view this as a way to recoup the revenue lost from buyers that could have bought a W12, but were wooed by the original V8’s appeal. So, now we have a Continental V8 S that generates 521bhp from its 4.0-litre, twin-turbo V8 engine, up 21bhp on the standard V8. Torque is up from 487lb ft to 502lb ft, which means performance figures of 4.5 seconds to 100kph and a top speed of 309kph. Visually, the V8 S sits 10mm lower than the regular GT, and the suspension spring rates are higher. The damping has been revised, the bushes and anti-roll bar stiffened and the steering tweaked for more feedback. The body kit is wilder, with revised bumpers and sills. Inside, it’s all very familiar, which means luxury at the high end of luxury – soft leather, milled aluminium and shiny black trim. It’s very nice indeed in here. The result of all these tweaks is a really, really good GT car. I’ve always admired Continentals – all of them – for their solid, chunky build quality mated to physics-defying four-wheel drive grip and stupendous pace. But driving the V8 S has, for the first time, left me genuinely excited. It’s still a heavy car, but it’s remarkably nimble on its feet everywhere except the tightest of hairpins. The grip levels are huge, which means it’s not really a car in which to perfect the art of power sliding, but driving it is a properly involving experience. Press the pace and there’s understeer in the tighter corners, but otherwise there’s brilliantly neutral balance in the bends, and now a touch more adjustability than before as the weight of the car transfers from entry to exit. The brakes are monumentally good, stopping the car far more effectively than we have the right to expect from a car this heavy. Throughout the test drive there wasn’t a trace of fade, and the pedal feel is beautifully judged. 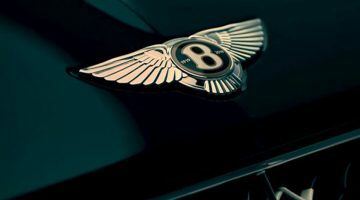 Having a V8 under the bonnet doesn’t make the car lose any of its Bentleyness. There’s instant power on tap, plenty of torque from just 1700rpm and big surge forward when you squeeze the throttle. Power-wise, it’s not that far down on the W12 and I’d be lying if I said I missed the extra four cylinders. It actually feels more dynamic in the way it accelerates. You still have that wave of effortless acceleration but feels like it’s working more, which is a good thing – it adds more excitement to the character. The gearbox is Bentley’s typical, smooth shifting auto. It’s not a twin clutch ‘box, but I don’t miss it. It still has to be a luxury GT, so the gearbox suits the V8 S perfectly. The engine note is one of the car’s highlights, instilling the V8S with an air of menace that never previously existed in the W12 models. It’s a refined but ever so slightly angry note that could only come from a V8. Imagine an AMG that’s gone through elocution lessons. There’s a particular stretch of mountain road between Palm Springs and Dana Point that throws everything possible at a car negotiating its heights. And the V8 S shines. The road itself feels tight and twisty, a sensation magnified by the canopy effect of trees leaning in from both sides of the road. The V8 S attacks every camber, undulation and direction change with genuine precision and accuracy. The ride never feels overly stiff, yet always maintains incredible body control. Seriously impressive, considering the pace at which I take it would merit a straight-to-jail card from the notoriously anti-speed US constabulary. Rather than being a revolution, the V8 S is essentially a V8 with a bit more. A bit more power, a bit more torque, a bit lower, a bit stiffer, a bit better handling, a bit more top speed, a bit better looking. The net result is a stupendously good GT, and the best choice for the enthusiastic driver that really wants a taste of Bentley-level luxury. Lover of all things fast.